On Monday, De’Aaron Fox and Marvin Bagley III caught up with Kris London for the streaming series. Who says you can’t be competitive in the virtual world? 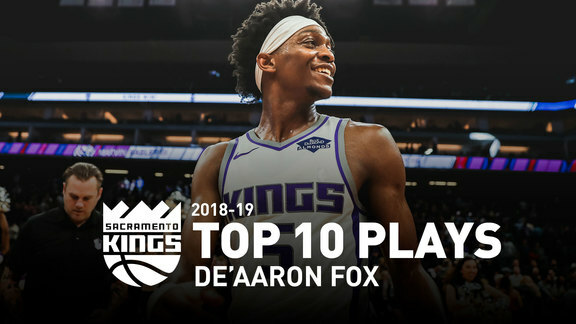 In another edition of NBA Twitch’s Arena Spotlight series, De’Aaron Fox and Marvin Bagley III joined Kris London for some work in Dragon Ball FighterZ as well as some games on the Golden 1 Center floor. First, it was Swipa who took control of the sticks, as the point guard battled Kris London for another matchup on the big screen. During battle, Kris asked our young King how he felt about Sactown’s season as it comes to a close, to which No. 5 replied “We definitely got better as a team. “I think this year we really stepped it up and opened everyone’s eyes,” No. 5 reflected. Another Twitch user asked De’Aaron what his ultimate goals are in his career. “I just want to be able to say I’m a champion, and just want to try and go down as one of the best players/point guards ever. And there is a lot of work that goes into that” No. 5 followed up. After De’Aaron battled with Kris on the sticks, it was time to head down to the court and meet with MBIII. Instead of Dragon Ball FighterZ, it was games of ‘BANK’ and ‘KINGS’ for some old fashioned fun. When asked what his favorite moment of being a King thus far has been, the former Dukie decided, “When I got hurt the first time, I came back out here in this arena and I checked in. 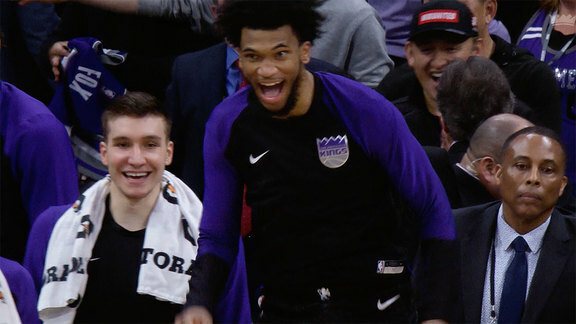 The Sactown duo and YouTube star had a blast on Twitch, and with how much fun they were having, you can certainly expect another episode at some point in the future.